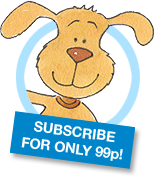 A Piglet's Guide to Caring - Carers Connect Int. 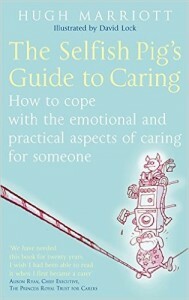 Wanted to share a small snippet of help and support to Carers from a book I came across recently, called “The Selfish Pig’s Guide to Caring” by Hugh Marriott” … I’m not a fan of the title but the contents are helpful …… so put the kettle on, sit in a comfy chair and if you can’t get someone to bring you that cuppa MAKE IT YOURSELF…. and then settle down for a wee bit of selfish but needed ‘ME’ time…!! If you can’t afford to buy one at present, as let’s be honest most of us Carers are on a pretty tight budget, then beg borrow or steal one, oh well all right then, forget the last comment, don’t steal one!! They will probably have a copy in your local library that you can skim through and perhaps copy relevant chapters or snippets that help you. Here’s a little taster that I thought might make you all smile a little, not because the contents are particularly happy or funny or witty or anything, but simply due to the fact that we are all in the same boat …. been there, done that and you will feel gosh I’m not alone anymore and someone understands what I’m going through. Well I’m going on and on again now so I’ll stop and here’s the snippet extracted from the book on CONFLICT!! It’s the conflicting demands of caring which can seem to tear you into little pieces. You focus a hundred per cent of your attention on your piglet, and next thing everybody else is suffering from neglect. Your family. Your partner. Your friends. Your children, even, if you’ve got any and they’re still at home. OK, so you try to look after everybody’s needs – piglet, (which stands for Person I Give Love and Endless Therapy to) family, etc – only to find you’re neglecting yourself. Your caring is preventing you from earning money. At the same time it’s costing you money you wouldn’t otherwise have had to spend. If you DO go on working to make the money you so desperately need in order to care for your Piglet you can’t do your caring job as well as you think you ought to. the dilemma gets you down. And depression is a form of mental illness. Well that’s it from me folks and I’ll get back to my caring duties now …… hope it helped a little, and made you smile for all the right reasons! !